As the social health insurance plays a vital role in protecting people from catastrophic health expenditure the State Government in the Cabinet meeting today approved implementing of the ‘Mukhya Mantri State Health Care Scheme’(MMSHCS) from financial year 2015-16. 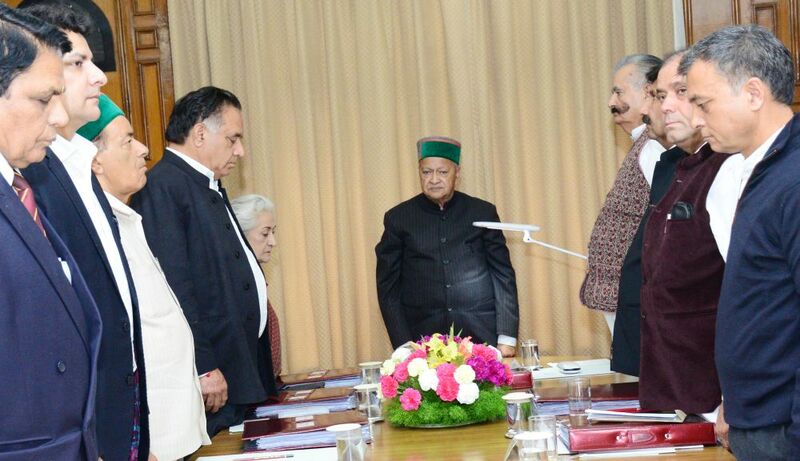 The meeting was chaired by Chief Minister Virbhadra Singh after the Cabinet observed two minutes silence for paying tributes to the departed soul of former President of India Dr. APJ Abdul Kalam. The MMSHCS would be provided to as many as 1.50 lakh beneficiaries which will also include Ekal Naaris, Senior Citizens above 80 years of age, Anganwari workers/helpers and Mid-day meal workers, Daily Wage and part time workers of State, Autonomous Bodies, Societies, Rogi Kalyan Samities (RKS), Boards and Corporation who were not covered under Rashtriya Swasthya Bima Yojna or any other medical reimbursement scheme. 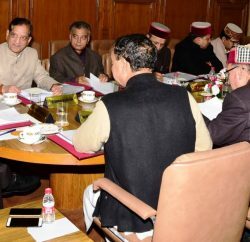 The Chief Minister Virbhadra Singh said that beneficiaries would be identified by the concerned department/Panchayat Secretary. The beneficiary would be eligible for coverage of the financial costs of in-patient health care services and certain specified day-care procedures not requiring hospitalisation. He said that there was a provision for reasonable pre and post-hospitalisation expenses for one day prior and five day after hospitalisation, besides provision for transport allowance. The State government would contribute 100 percent as a provision of Rs. 12 crore has been kept to meet out the expenditure to meet out the expenditure under MMSHCS during the current fiscal. The smarts cards will be active from 1st January 2016 and the beneficiary can avail benefit till December 2020, added he. Decks were cleared to construct Mini-Secretariat at Sujanpur Tihra by demolishing the sub-divisonal office to house various offices under single roof. 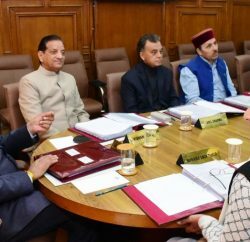 The Cabinet gave its nod to dismantle the old building of Sub divisional officer/Tehsil office to pave the way for construction of Mini Secretariat. 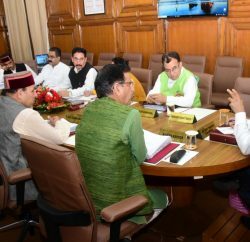 The Cabinet gave its approval to table the Himachal Pradesh Fruit Nurseries Registration and Regulation Bill 2015 in the ensuing Vidhan Sabha session. Previous PostCabinet approves to fill over 700 posts Next PostWhere s the road? ?